Ideal for table top , wall hanging, interior design, tablecloth or any gift idea you have . 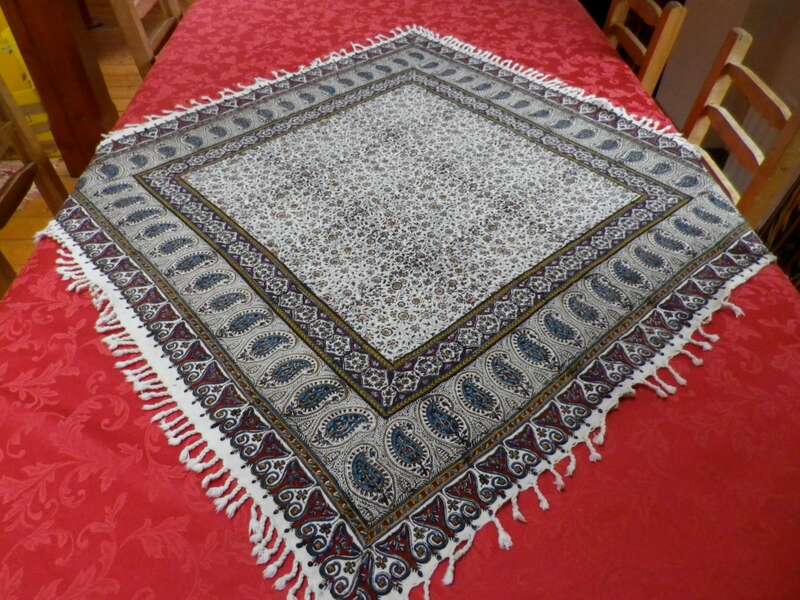 Tapestry tablecloth are wonderful quality accent pieces for the home or commercial interiors. 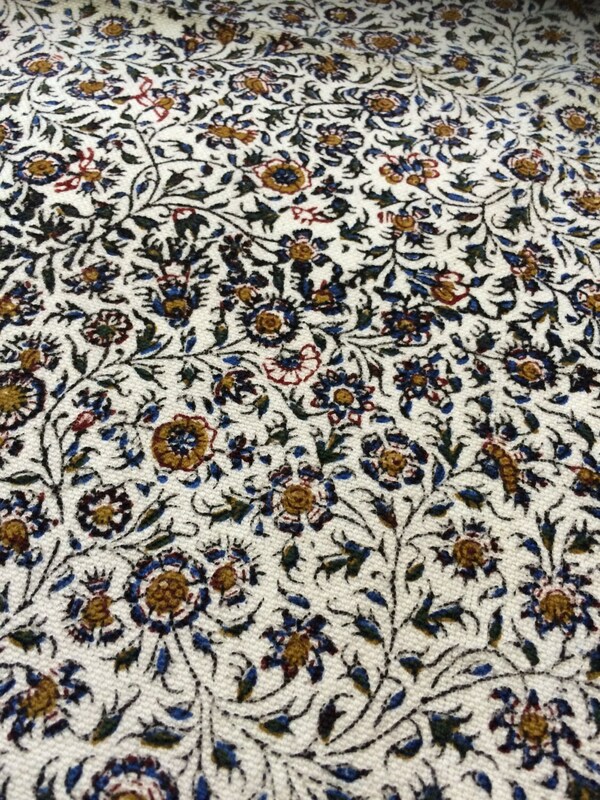 This cloth can be used on any furniture that requires an elegant touch. 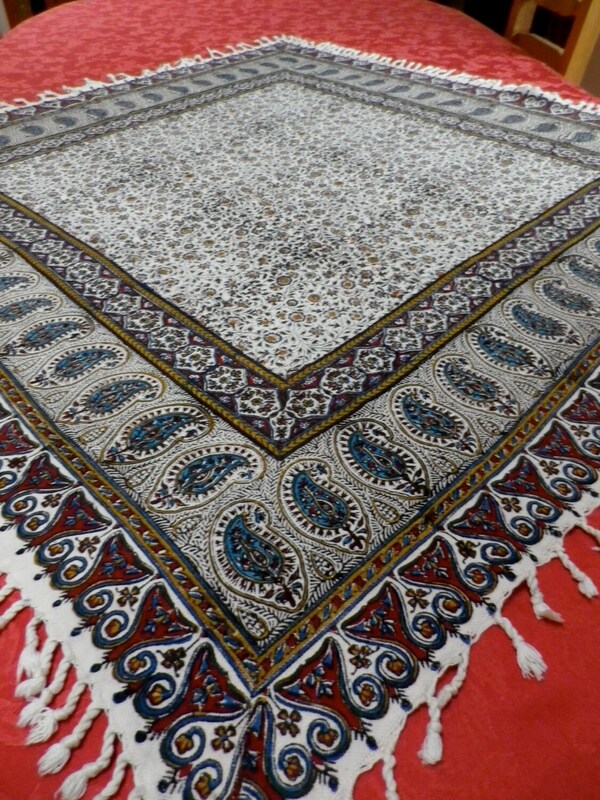 The tapestry tablecloth has been hand block printed using ancient old traditional methods. The wooden block stamps used are predominantly made of pear wood and are generally hand carved. Pear wood offers more flexibility and density for carving and is also very durable. Thousands of these blocks exist all with various patterns and designs, predominantly flora and fauna and geometric designs. 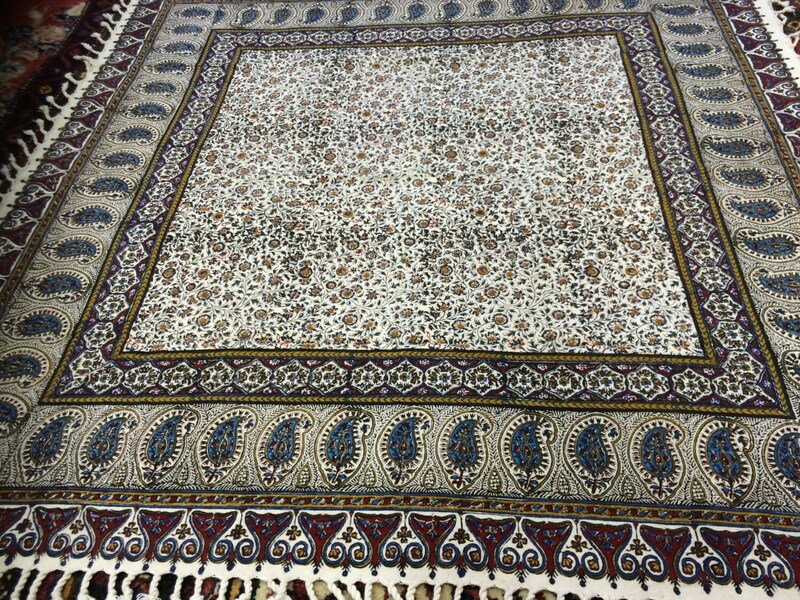 The fabric of this cloth is calico which has been hand block printed using natural dyes and which gives the cloth its beautiful soft and muted coloring. We post all the items in sign for method from Ireland ( registered post with tracking ) Please make sure someone is present within delivery date to sign in the relevant papers. It usually takes 2-3 working days between Ireland or 6 -10working days or takes longer for customs clearance outside Ireland.